Coffman Barns provides Complete, One-Stop, Turnkey Solutions for the equine professional or backyard enthusiast! The mission at Coffman Barns is to create and keep customers by providing customers honest & knowledgeable representation, premium products and exemplary service at a competitive price to fit their dreams and budget. They have become a trusted name in the industry by providing their customers honest & knowledgeable representation, premium products and exemplary service at a competitive price to fit the customer's dreams and budget. Randy Coffman, an Arizona native has worked in the construction industry since the early 70's. He became involved in the equine housing industry in 2000 when his veterinarian asked him to build his new equine surgical clinic. 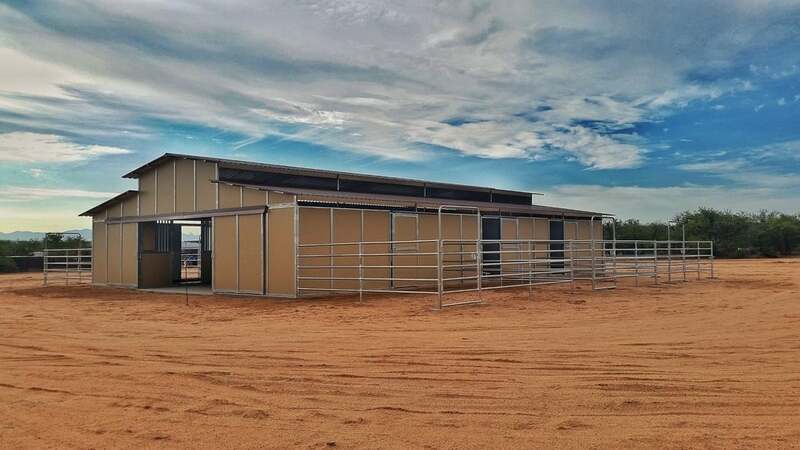 After the completion of the project, Randy began promoting and selling turnkey equine facilities. He quickly became known as "THE BARNOLOGIST", a title his clients agree, is perfectly fitting, as Coffman is truly an 'expert' in the business; honest, ethical and has the ability to build just what you envisioned! Among Randy's many projects is a 30 stall Arabian barn in Cortona, Italy, a 50 stall barn in Chihuahua, Mexico, and 400 stalls for the Indiana Downs racetrack. Randy Coffman became an authorized dealer for FCP Barns because of their superb workmanship, commitment to quality, excellent products, timely manufacturing and they are proudly “Made in America”! FCP Barns has been serving the equine industry since 1982 with barns known to be at the top of their class in materials and workmanship. for Arizona, Colorado, Wyoming and Montana! "Like" Coffman Barns on Facebook- click here!